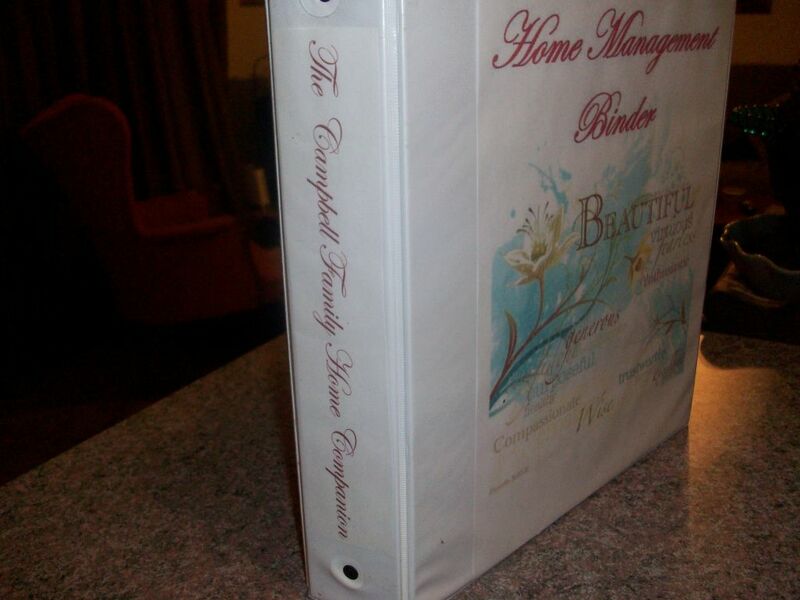 I think it was an excellent idea for Toni to start off the weekly challenges with the Home Management Binder. If you all think my house has been unorganized and cluttered, that's nothing compared to my brain. I have ADD that was never diagnosed as a child - back then we were just called day dreamers or lazy - with parents never considering to go to a Dr for that sort of thing. ANYWAY, that's not an excuse for being a lazy daydreamer, it's just a background reason as to why my house and my life is usually so chaotic. It takes a LOT of work and routines to keep it from sinking back to the utter CHAOS it used to be, believe me. 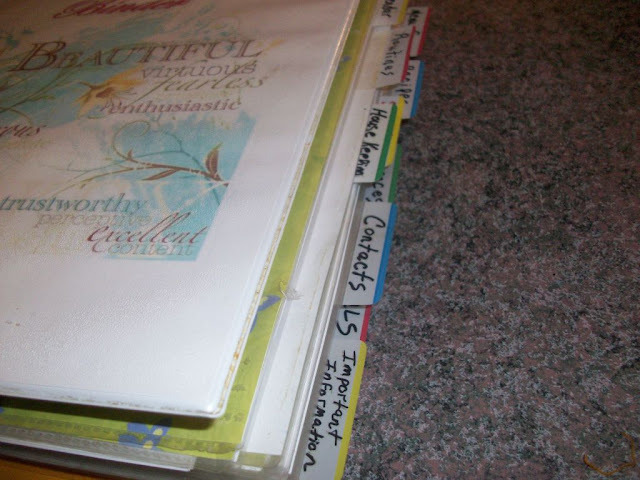 The previous 21 day Organizing Challenge was like all kinds of therapy for me. 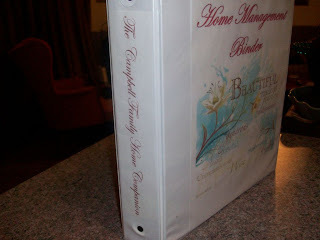 My Home Management Binder that I've had for 2 years now has been a Godsend seriously. Actually even before it became a HMB, it was my Flylady Control Journal. 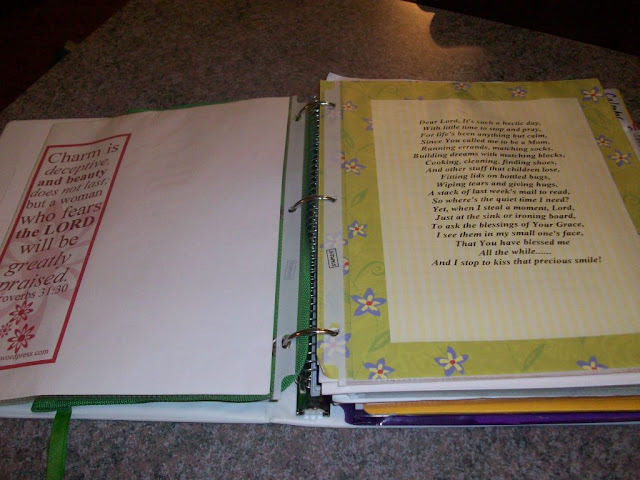 I had been using a second hand old ugly binder and just stuffing things in it I thought I ought to have in it,.. but it was not really doing much for me. So, I got a bigger (2 inch) binder with pockets on the front, back and sides so I could put pictures in it and change them as I felt like it. The cover I used I found online somewhere and features words that describe the Proverbs 31 woman which I aspire to be more like, but know I will never quite live up to the ideal. Thankfully at the time I had a nice color printer. I'm currently out of color ink, so new additions are sadly B&W for now. I knew I was going to be using a lot of sheet protectors, and could not find any tab pages that stuck out past them, so I got a pack of tabs that you stick to something else, so I just stuck them to the sheet protectors to use as section dividers. I don't have a label maker and my handwriting is really bad, but it works for me. Maybe someday I'll buy a label maker... then watch out! I'll be labeling everything! So, on the inside of the front cover is a pocket where I keep envelopes, stamps and address labels. I also keep an envelope with my house payment's address on it so I can find it quickly. It's one of the few bills I pay by mail. I also keep a few pages of scratch paper here. 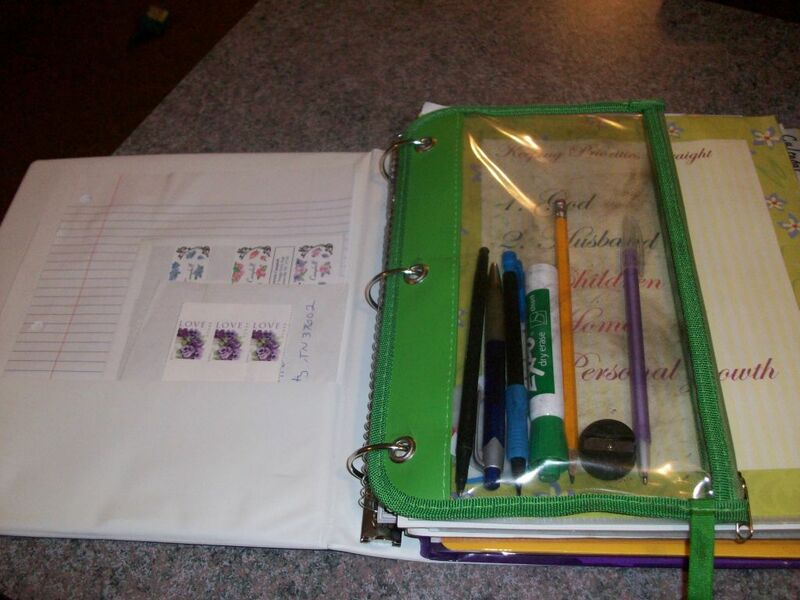 If I've got my binder out on the counter and get a phone call, I can quickly open it to write down a message. That's really been handy. Right behind the pencil pouch I keep a reminder of why I do what I do and who I do it for. It's followed by a Proverbs 31 Scripture and a prayer. 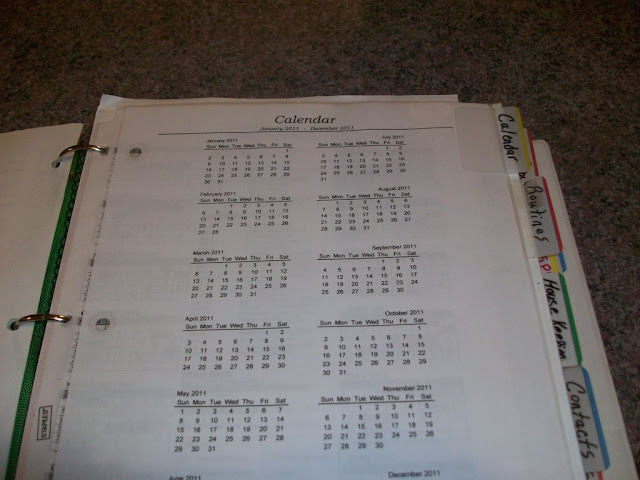 I keep a full year calendar in the actual tab page which is the divider. 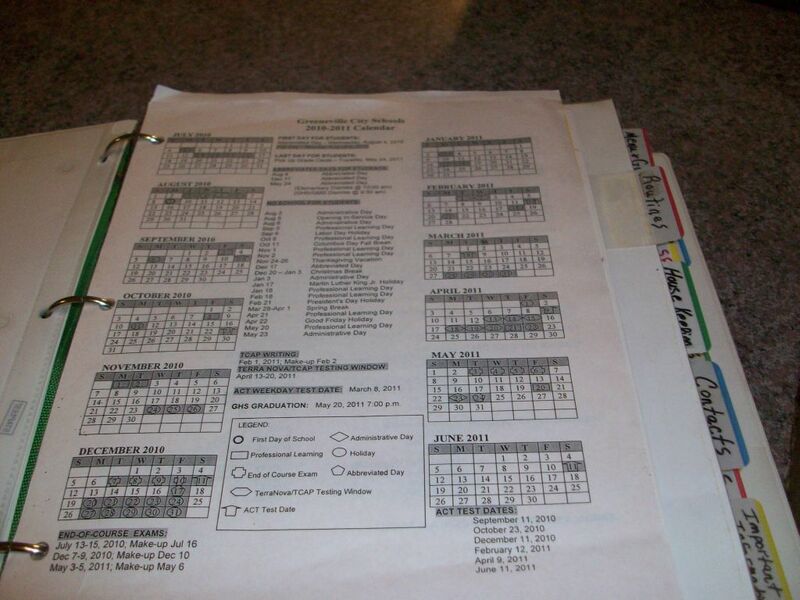 The next couple of pages are the school year calendar and the high school chorus calendar. By the way, all the dates on these two pages have already been added to my main wall calendar which the entire family uses as Command Central. The next pages are printouts of the current month and near the end of the month, I add the next month. All the dates for everything go on the wall master calendar, so I don't have to keep a full year in the binder, just current so I can see at a glance what is going on today, tonight, this week etc. I do make sure not to post something on one of the calendars and not the other. I need them to sync so I don't miss anything. 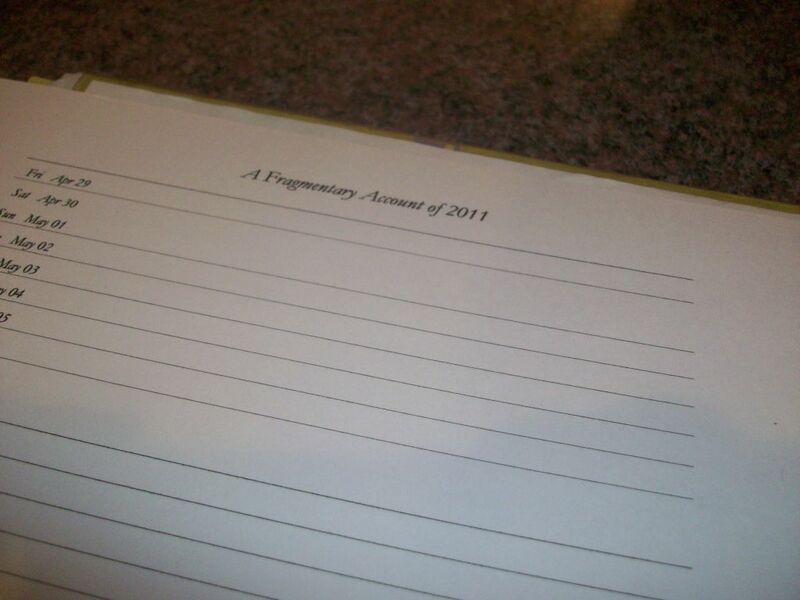 The one I use has places for notes on the side which I use quite a lot for things I would definitely forget otherwise. Very handy. Then the last thing in the Calendar Section are these pages I found on DonnaYoung.org (free downloads and printouts - I get my full year and monthly calendars there too). They are "A Fragmented Account" of the year. Each day of the year has one line, and you're to write a short note about the day. Kind of like a Twitter, but for your own records. It took a few pages to print out, but I think it's a nifty idea and haven't missed too many days. This is the first year I'm doing it, and already it's helped me remember when something happened over the past couple of weeks when otherwise I'd surely forget. Well, that's all I'm showing today. Since it's a weekly challenge, I can post more on it this week. Click here for Part 2. Click here for Part 3. I took over 40 pictures! Don't want to do all of those in one post. Whew! Toni had wanted those of us who already had HMBs to start fresh with a new one, but mine basically 9 years in the making and has evolved as I needed it to. I did actually completely change it not too long ago and put in new sections and re-organize it some. It still needs a lot of help. For instance I need to reprint all my recipes I have in it and put them in page protectors... they're really showing wear. I only keep the well loved and most often used recipes in it so as not to clutter the binder. They're the recipes that I make sure all my girls know how to make and can take the recipes with them when they leave. Already my oldest has come back to get a copy of my meatloaf recipe haha! Turns out it's her fiance's favorite dish! Yay LOL! So, yes I'll be tweaking as I go through the week and may yet change a little of a lot, but I'll definitely be reading everyone else's blogs about their HMBs (or at least as many as I can get to when I have time.) I LOVE seeing what other people's binders are like! If you're not taking the challenge or don't have a Home Management Binder, I really encourage you to try it out. It can really help make a house (and family) run SO much smoother. I actually started one of these a few weeks ago and just work on it a bit here and there. I'm really excited to see your upcoming post on yours. You have some great ideas! Your binder looks great, I think I may have to borrow your idea of a few enveoples and stamps at the front of the binder! Looks really beautiful and so many tabs. I love it. It looks great. 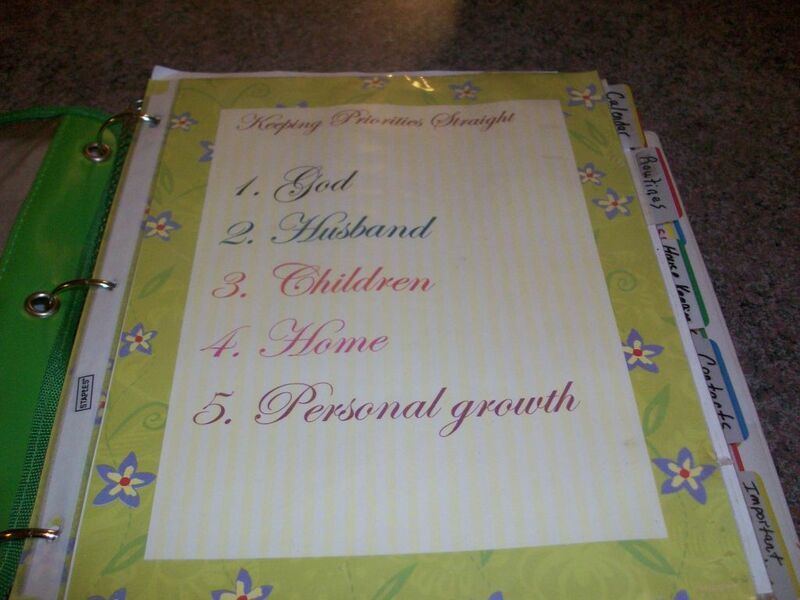 Really neat that you have the sheet that says who you do it for in your binder and the Proverbs. Found you on A Bowl full of Lemons. Would love you to stop by and share this with my readers on my Organizing Mission link party. Thanks for stopping by! I'd love for you to pick up a button too on your next visit! 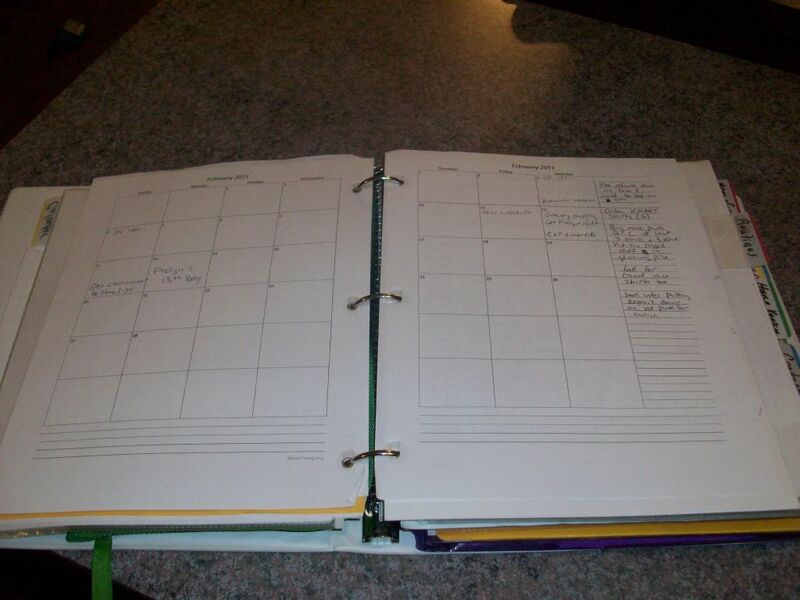 Love the idea of a written daily log! i love to look back at my old "to do lists" this is a great way to remember things that werent "chores!" 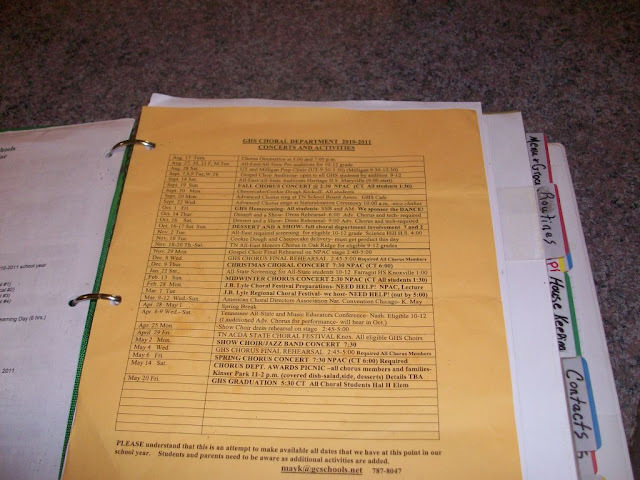 I wanted to know that I am featuring your post tomorrow for my Organizing Mission link party week 8! Stop back by and pick up your "I'm Proud To be Featured on Organizing Mission Monday!" You did an awesome job! Thanks! What a great idea. I love your blog. Your life sounds just like mine. I feel like it is always in chaos. 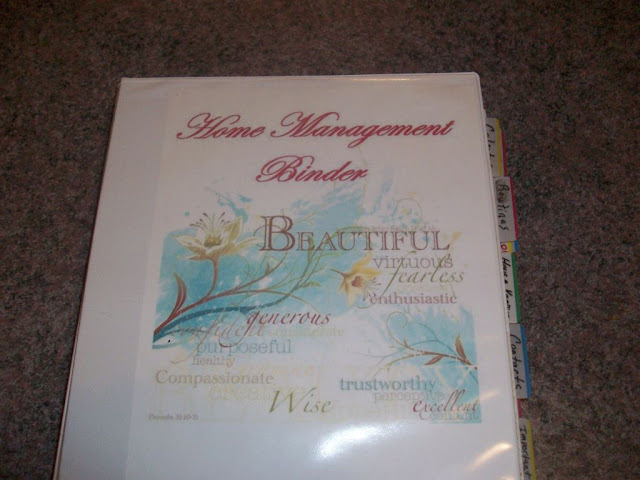 I am going to make a HMB it sounds like something I really need to stay organized. I'm So Gonna Rock This! Cleaning day, and Loving the results! I knew things were going too well. Spice Drawer - Challenge #12 Skipping Around! My Junk Drawer! 21 Days to Getting Organized! Sweet Bee Cottage is Having a Great Giveaway!